View this message in Spanish, German, French, Italian, Polish, or Russian. Today we come together to celebrate our shared passion for Mass Effect. We’d just like to say thank you for coming along on this incredible journey with us. 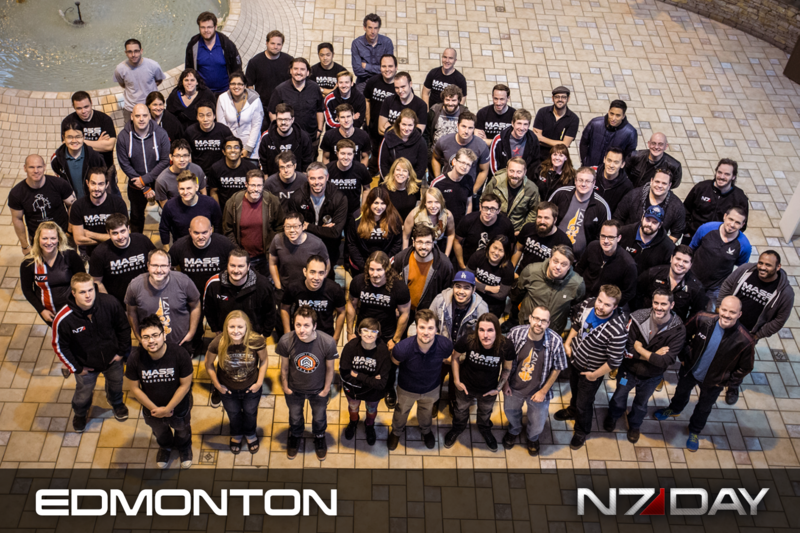 N7 Day is a time when we come together to celebrate with fans how far we’ve come. In the nearly ten years since the release of Mass Effect, we’ve taken an incredible journey together. We’ve made friends, forged alliances, and built stories spanning the far reaches of the Milky Way. As we look back on the trilogy, we think of the many amazing things your enthusiasm has created. Beyond the works of art, costumes, songs, stories, and recipes, you’ve built a community. Your passion has formed friendships spanning the globe, brought people together, and inspired a new generation of gamers. It’s the reason you can walk down an unfamiliar street in a strange city, share a knowing nod with someone in an N7 hoodie, and feel at home. It’s this feeling that inspires us during development, and reminding us why we make games. 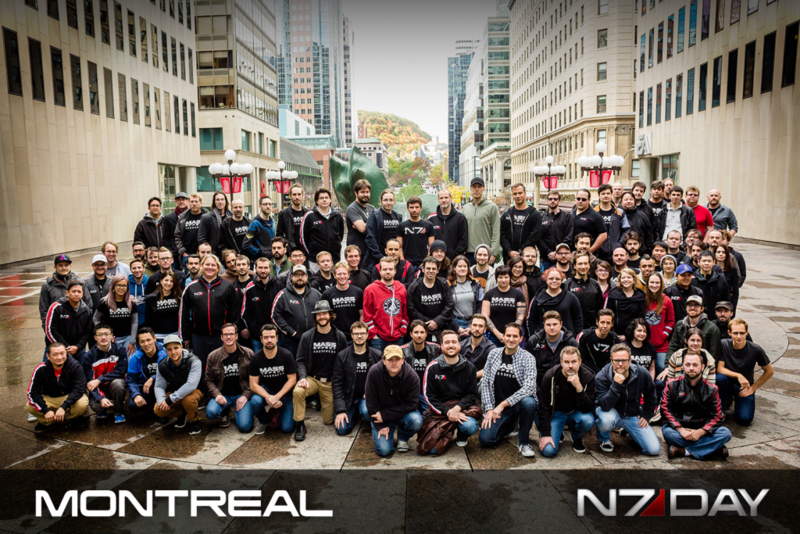 Each day, as we build this next chapter in the Mass Effect universe, we work to ensure we’re carrying on the spirit and heart of the series that we all know and love so well. 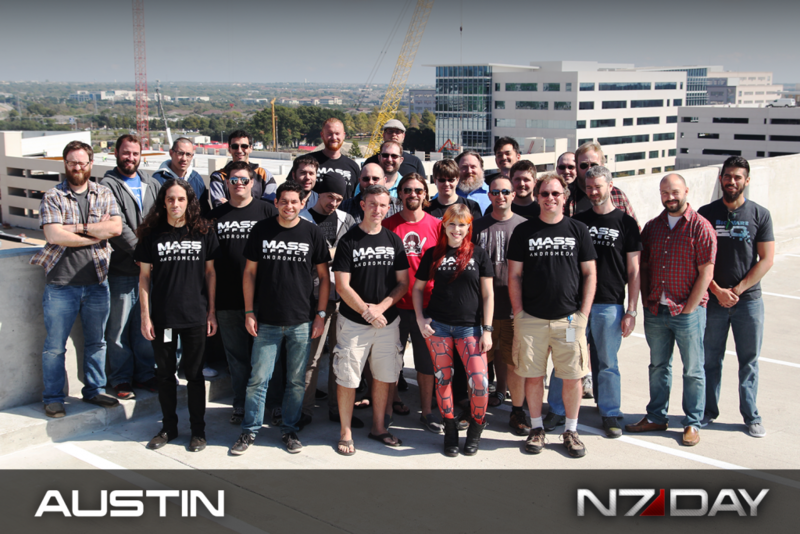 So on this N7 Day, we thank you for being part of this great adventure. We can’t wait to share what’s coming next. Previous Previous post: N7 Day is Almost Here!